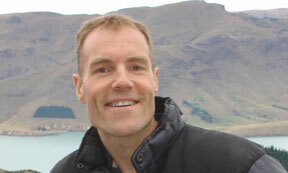 Professor Jonathan Golledge is an academic Vascular Surgeon. His work is split between clinical care of vascular patients and research focused on improving understanding and management of peripheral vascular diseases. He has published approximately 200 research articles and leads a team of researchers focused on peripheral vascular disease within a research centre in North Queensland, Australia. 1. What do you enjoy most about being an author? The opportunity to interpret and discuss original data and/ or findings summarized from others which advance understanding of a research area. 2. What advice would you give to a new author? Focus on the following: an original and clear aim; a clear, logical, "to the point" and specific writing style; interpret data conservatively and recognize limitations of any work. 3. What would you change about the scientific journal publishing industry if you could? There is a need for a better peer review process which limits current bias and focuses not only on perceived impact or how topical a study is but on its scientific quality. 4. How do you think that the move from print to electronic publishing affects you as an author? It has potential benefits in making work more readily available and increasing its reach, but perhaps makes the use of measures such as citation and impact factor obsolete as many papers will be read without citation. 5. What do you think about open access? It is a good idea to make published work more available. I am not one for quotes but like to find humour in comments that illustrate the personalities of others and my own. 7. Who or what is your biggest inspiration? I have no single inspiration but have seen many principals that I find inspiring in others I have met during my life. These principals include working hard to achieve a goal, modesty, selflessness, politeness, sense of humour, taking responsibility and being there when really needed by those dependent on you. Play with my son and work on developing in him a love of cricket and Australian Football League, particularly the Adelaide Crows.